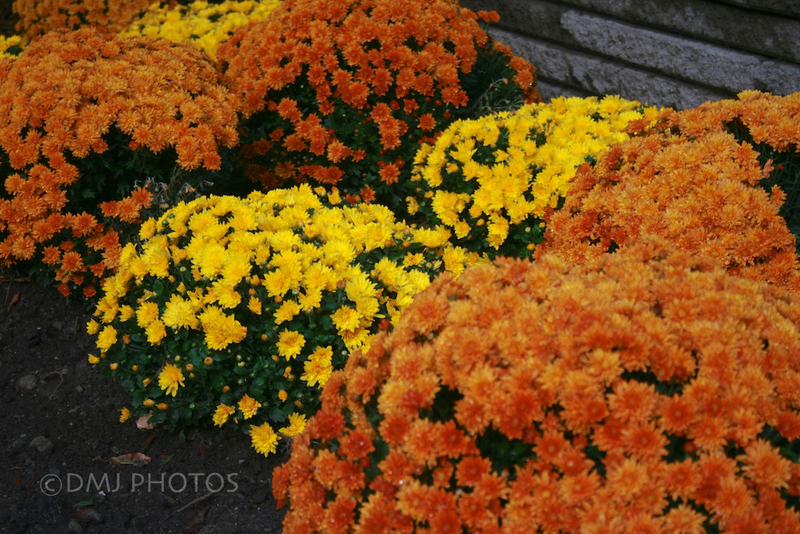 On my way into the hospital this morning, during my walk from the parking garage to the hospital, I noticed these beautiful mums for the first time. I’ve passed them for over a week now, and only noticed them today! To me, ‘mums’ represent the fall season here in Canada. They withstand the new morning frosts, and provide wonderful colour during this time of autumn, when everything is preparing for winter. To me they represent strength – which is exactly what I need these days. This entry was posted in Uncategorized and tagged 365 Day Photo Challenge, autumnn, Denise MacDonald, DMJ Photos, Photo Challenge, postaday. Bookmark the permalink.